The coastline of Portugal is vast. This thin strip of a country has over 900km of beautiful, dramatic coastline. 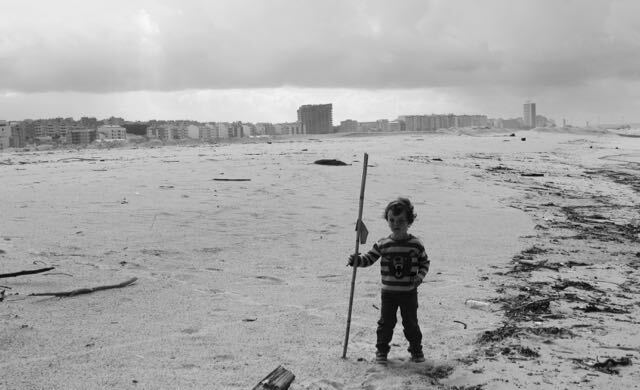 Let’s face it, when you think Portugal, you think beaches and the Algarve, touristy resorts where you can camp out with your bucket and spade and acquire a lovely bronzed tan…Herm…Not quite for you…? Me neither. A little too crowded and a little too toursity for my liking, luckily Portugal has so much more to offer. Central Portugal has it’s fantastic River Beaches. If you are looking for some different coastal towns to visit that aren’t quite as full-on and touristy as the Algarve (which are not all about the ‘beach’), the Central Portugal has some exquisite costal towns and cities that are well worth a visit. Aveiro (uh vey roo) is a picture postcard coastal city close enough to Lisbon for a day trip or a great stop-off on your way back from Porto Airport en-route to Central Portugal. Aveiro, where old meets new, a little Venice of interweaving waterways, brightly coloured fisherman’s houses, restaurants, cafes and grand Art-Nouveau buildings; a delight to photograph the canals and boats. The intricately painted boats, or Moliceiros, were once used to harvest seaweed, used as fertiliser to keep the local area rich and fertile. Now you are more likely to book a Moliceiros trip around the network of canals, a perfect way to see the waterways of Aveiro. Visit the famous Mercado de Peixe (Fish Market), eels wriggling, fresh seafood in the the mercado de peixe’s very own fish restaurant, just upstairs from the market, or at one of the many eateries by the canal side, is a must. Whilst in Aveiro, try the local delicacy of Ovos Moles de Aveiro, shell shaped sugary sweets, filled with gooey sweet egg yolk. A little bit sickly but worth a try. The city also has an excellent museum and a range of quirky boutique shops and big name shops, such as North Face, but if you want to go shopping visit the nearby district of Ilhavo; which is home to a number of Porcelain factories. Aveiro is more about the canals and waterways rather than the beach, but as always in Portugal, there are some lovely beaches nearby at Barra, Costa Nova and Sao Jacinto. Figueira da Foz (fi-guy-ra da fosh)- is nicknamed the Rainha das Praias (Queen of Beaches) because it has the biggest, widest beach ever! It’s ginormous soft white sandy beach takes about 5 mins to walk across to the sea. Although empty when we visited, this is a popular Portuguese resort and apparently this giant beach gets packed in the summer. Not surprisingly, the vast white sugar-sandy beach is pretty awesome, and there is so much of it! A great place to visit off season, to enjoy playing on the huge deserted beach. To be honest we didn’t explore Figueira that much, we saw the amazing fish market, there is a very flash casino, museum full of decorated tiles and many, many other attractions but commercialised shopping and city centre shenanighans didn’t really appeal to us at the time. We preferred to be outside so instead we headed to Buarcos, a short 2 km walk along the promenade from Figueira. It’s worth the walk for the Ice Cream Parlour alone. Buarcos is the olderpart of Figueira, you can almost feel the pace reduce as you enter the surfy, sedate Buarcos; it has far more character than the centre; smaller winding streets, cafes and shops and fortified sea walls and castle. Oh yes and did I mention the scrumptious ice cream parlour…yum! After a beach day in Figueira and Buarcos we headed to our accommdation for the night in much more chilled out Murtinheira. Note to self, never trust sat nav! If we didn’t have a 4wd we would be stuck. Very stuck. To say we went the secnic route was putting it midly. So yes, it’s an idea to follow the main roads if you are heading from Buarcos to Murtinheira, and DO NOT try and go via the Cape Mondego Natural Monument (Park) (monumento natural cabo de mondego). 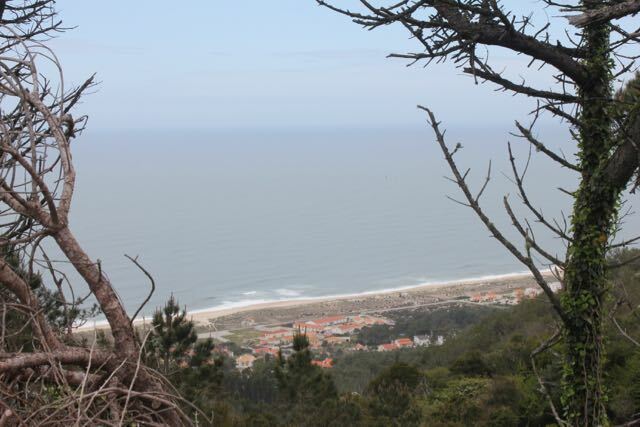 It is basically the natural park on top of the cliffs overlooking Figueira and Murtinheira, full of sandy tracks and unsealed sandy track/roads. Impossible to traverse even with a 4WD. We ended up turning back and finding a road with tarmac to travel onwards…great view of Murtinheira from the top though! When we finally arrived in Murtinheira we headed for the beach and awaiting our rendezvous with the air bnb host. The beach by the way, was again incredibly beautiful and totally deserted, bliss! By the time the host had arrived with the keys for our beach hut ( over 1 1/2 hours late…annoying to say the least!) the kids had constructed a raft/dune buggy/boat/car out of an old palette. Mayhem was playing with old shotgun cartridges in a washed up oil bottle, placing them carefully in and shaking them all out. Chaos was the Captain of the ship, digging for endless treasure. Thank goodness for the distractions of flotsam and jetsam. The Murtinheira beach hut was a remote slice of paradise, a wooden hut with all mod-cons, including a radio in the shower (go figure)! We moved in, jumped on all of the furniture (the kids, not us parents), made a mess and went out for an early dinner. Most places in Portugal, as in most European countries, don’t really do dinner until after 7pm…not really condusive for the little-ones bedtimes. Luckily we found a great cafe nearby, ordered a variety of fried food to appease the weary soldiers and a delicious bottle of vinho tinto to keep Mummy and Daddy sane happy. Mayhem had a plant pot with stones in it to keep him busy, Chaos opted for playing a game on Mummy’s phone…the things we do to get our kids to stay up late and when we want them to sleep…yeah, you guessed it, they don’t! After what felt like a very sneaky late night out we headed back to the beach hut, got the kids tucked up in bed and sat outside on the balcony enjoying the sunsetting with another glass or three of the good stuff. Portugal has an excellent selection of great quality wines, if you haven’t tried wine from the Douro Valley, Dão or the Alentejo region, buy a bottle when you see one, well worth the try. We explored Murtinheira beach with another long walk along the coastline again in the morning, after breakfast, yeah you guessed it, we didn’t run into anybody on this little stretch of paradise. I’m sure it’s busy in summer, but still not quite as populated as Figueira and with a much more relaxed pace that we like. After hanging out a little more we packed up and headed back to Figueira to visit the infamous Tennis Club for lunch. The seafood at the Tennis Club’s restaurant is pretty spectacular but if on a budget you can go for the special, the pratos do dia (plate of the day). The traditional Portuguese dish of Bacalhau com natas (salt cot with cream, potatoes and breadcrumbs), was served with all due pomp and ceremony, in a huge casserole pot, piping hot and yummy. Nazaré (Naz-e-ray) is Portugal’s hippest surfing town, legendary for the humongous waves, and in 2011, The largest wave ever surfed. 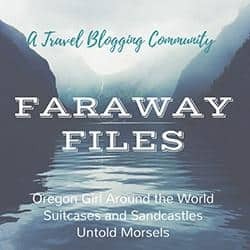 The first thing we noticed when driving into town is the local women dressed in their traditional dress, ornately embroidered skirts with endless petticoats, blouses, house slippers (! ), an apron, headscarf and very bling jewellery. The town feels like a small fishing village made good but it still manages to hang onto some traditional values and elements without being totally engulfed by tourism. The main streets lead into winding back alleys and endless narrow passageways, full of busy people working, laughing and going about their business. We rode the funicular to ascend up the cliff top to Promontório do Sítio, and for a wander around the old town. A different feel up here, apparently the inhabitants here farm and don’t fish like their downstairs neighbours. The funicular trip is reasonable, very regular and well run, worth it for the trip alone but the real reason to go up the cliff is the view. 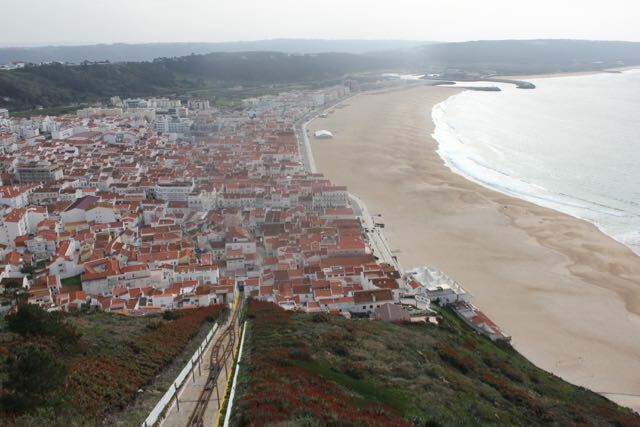 The panoramic picture postcard views of Nazaré are pretty spectacular. You can walk around the cliff’s edges, visit the church and there are of course lots of restaurants and cafes. We bought a scoop of nuts from an old lady wearing traditional dress, outside the Igreja de Nossa Senjora da Nazaré, surrounded by pigeons. She had an overladen stall and a very persuasive manner; her sales pitch in Portuguese resulted in us buying a pack of local almond biscuits that we didn’t want, but felt obliged to buy simply because she was such a true character. We rode the funicular back down to the mass of seafood restaurants determined to have some calamari. 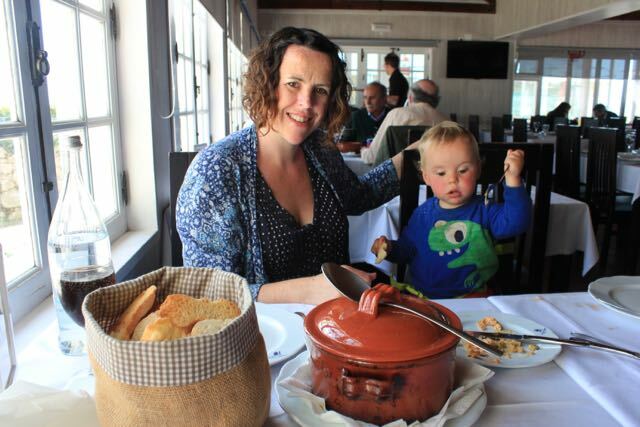 Just a note on eating out in Portugal, if you are presented with lots of entrees, bread, olives, cheeses, fish spreads etc and wonder if they are free or if you have to pay for them, you have to pay. If you don’t want these extras, don’t eat them and you won’t be charged for them. Chaos was drooling at the thought of calamari and was convinced he could see the chef cooking his calamari from the top of the funicular. Hungry boy! Nazaré didn’t disappoint, the fresh fish and seafood was delicious and the town was relaxed and interesting. A great place to visit and feel truly welcomed. Nazaré is also pretty famous for it’s New Year’s Eve celebrations and happening Carnaval (February), so well worth a visit in winter when the waves are at their most powerful. Thank you! Portugal has so many amazing places to visit, hope you get a chance to visit soon! That looks beautiful… I loved visiting Lisbon, and these photos are giving me an excuse to go back to Portugal! Thanks Amanda, Lisbon is fantastic but Portugal has so much more to offer; definitely worth another visit! Thanks Clare. Lisbon is a beautiful city isn’t it! You could definitely combine another visit to Lisbon with Aveiro and Nazaré. They are simply stunning and don’t disappoint! Thanks Ruth, yes Central Portugal is so relaxed but with loads happening. Well worth a visit! Thank you, Portugal really should be on your travel bucket list! We really love Portugal, but would love to explore a bit more -Nazare is one place that is on our list. Loved the Aveiro pics-so pretty! Thank you! Portugal is such an amazing country well worth exploring; so much to see and so varied! Thanks Lisa, the river beaches are simply awesome, we have a few posts about them as we loved them so much. Great for families. The salmon in Portugal is so amazing. If you get the chance to visit a fish market in Portugal, make sure to buy some! I am absolutely dying to go to Portugal! It’s a wonderful place try and visit soon!